Stock # 163722, Straight 6 cylinder - 292 ci. (4.8L), 4 speed manual, 56773 mi. A lot of this is original and is a great project truck or simply a driver. 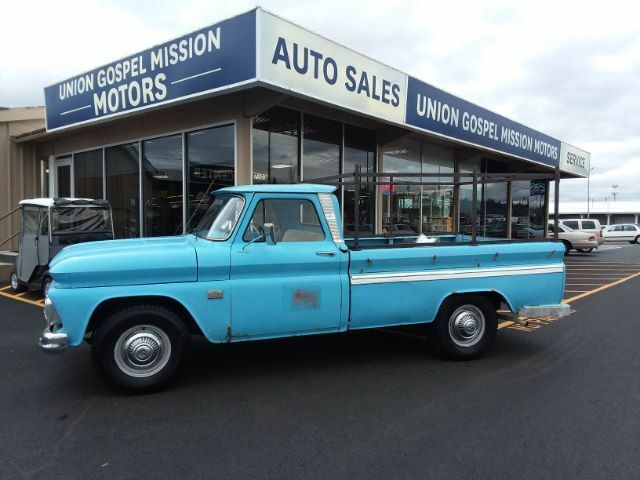 This is a nice 1966 C20 Custom. Engine was rebuilt professionally at 42k. New battery, starter, alternator and more. Runs and drives good. Come in or call for more details.